Walt Whitman on What Makes Life Worth Living | "Global Possibilities"
“Do you need a prod?” the poet Mary Oliver asked in her sublime meditation on living with maximal aliveness. 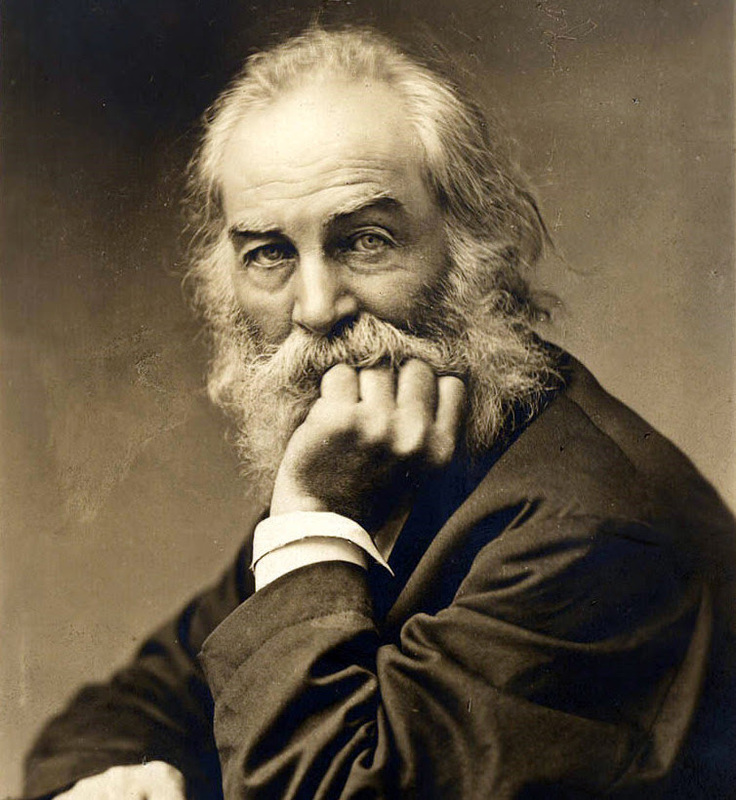 “Do you need a little darkness to get you going?” A paralytic prod descended upon Walt Whitman (May 31, 1819–March 26, 1892) in his fifty-third year when a stroke left him severely disabled. It is a peculiar kind of darkness to be so violently exiled from one’s own body — a cascade of exiles, for it forced Whitman to leave his home in Washington, where he had settled after his noble work as a volunteer nurse in the Civil War that first taught him about the connection between the body and the spirit, and move in with his brother in New Jersey. Still, he kept reaching for the light as he slowly regained corporeal agency — a partial recovery he attributed wholly to being “daily in the open air,” among the trees and under the stars. But as his body healed, the experience had permanently imprinted his mind with a new consciousness. Like all of our unexpected brushes with mortality, the stroke had thrust into his lap a ledger and demanded that he account for his life — for who he is, what he stands for, what he has done for the world and how he wishes to be remembered by it. As nature nursed him back to life in her embrace, Whitman found himself reflecting on the most elemental questions of existence — what makes a life worth living, worth remembering? He recorded these reflections in Specimen Days (public library) — the sublime collection of prose fragments, letters, and journal entries that gave us Whitman on the wisdom of trees and music as the profoundest expression of nature. From to-day I enter upon my 64th year. The paralysis that first affected me nearly ten years ago, has since remain’d, with varying course — seems to have settled quietly down, and will probably continue. I easily tire, am very clumsy, cannot walk far; but my spirits are first-rate. I go around in public almost every day — now and then take long trips, by railroad or boat, hundreds of miles — live largely in the open air — am sunburnt and stout, (weigh 190) — keep up my activity and interest in life, people, progress, and the questions of the day. About two-thirds of the time I am quite comfortable. What mentality I ever had remains entirely unaffected; though physically I am a half-paralytic, and likely to be so, long as I live. But the principal object of my life seems to have been accomplish’d — I have the most devoted and ardent of friends, and affectionate relatives — and of enemies I really make no account. Specimen Days remains a kind of secular bible for the thinking, feeling human being. Complement this particular fragment with Dostoyevsky’s dream about the meaning of life, Tolstoy on finding meaning when life seems meaningless, and the forgotten genius Alice James — William and Henry James’s brilliant sister — on how to live fully while dying, then revisit Whitman on why literature is central to democracy and his timeless advice on living a vibrant and rewarding life.